The CV or Curriculum Vitae is a candidate’s first chance in making a good impression before a potential employer. 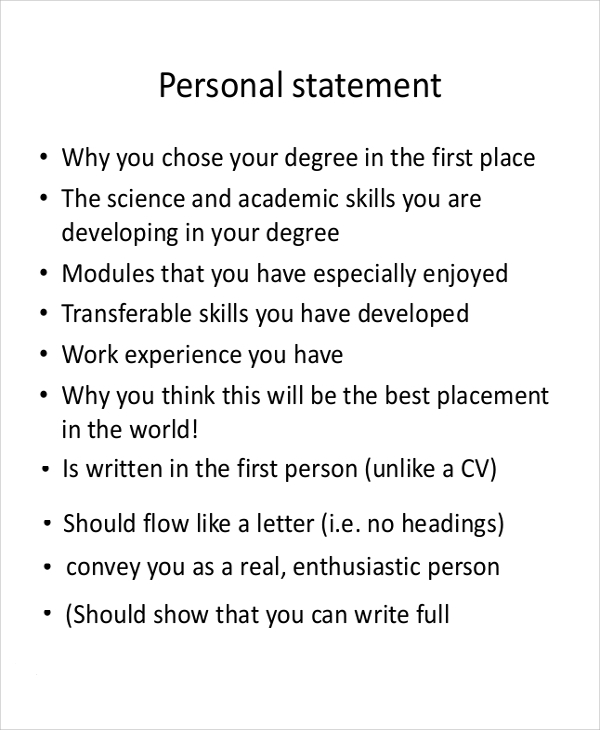 A well-written CV always increases your chance of getting through to a face to face interview with the employer. As such, it requires you to spend a lot of time and effort in preparing the content and the layout for its presentation. 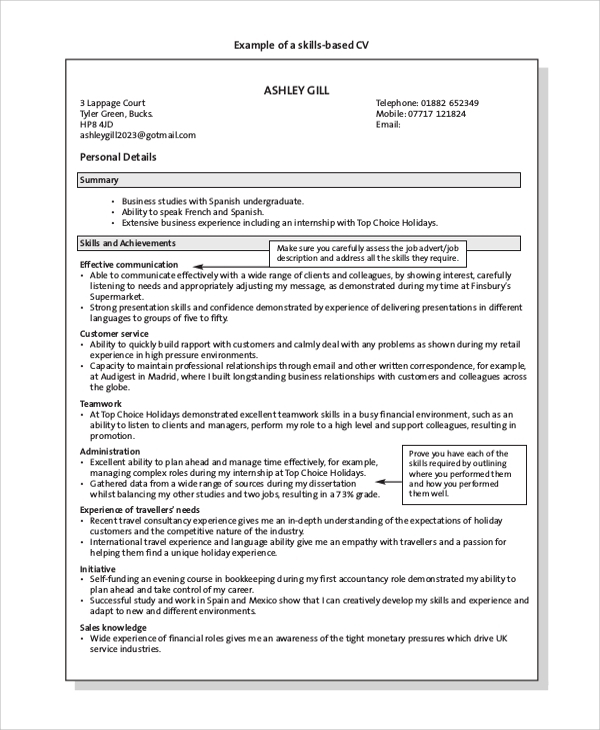 To help you with the task, we have some carefully written CV Samples and templates that can be admissible in all most all kind of positions you might be willing to apply for. 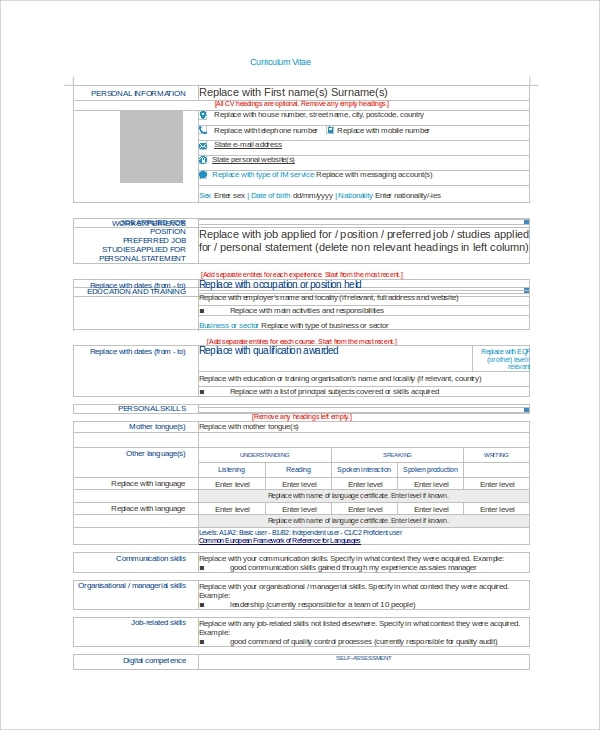 If you are trying to prepare a CV to highlight your skills, this will be a great template to work with. While the template does provide space for introducing your summary, qualifications, and other achievements, the highlight is on the personal and acquired skills. A detailed work history alongside the skills will further strengthen your resume. Graduate students applying for a specific job will need to highlight an all round profile, inclusive of key achievements, skills, educational qualifications, work experiences, personal interests and other additional information that matches the job profile. 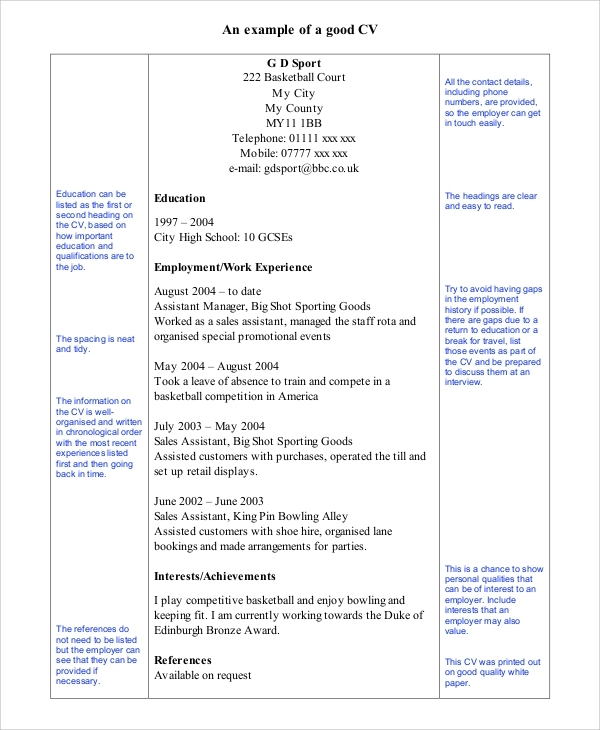 This general CV template can be used for applying to all kinds of jobs. 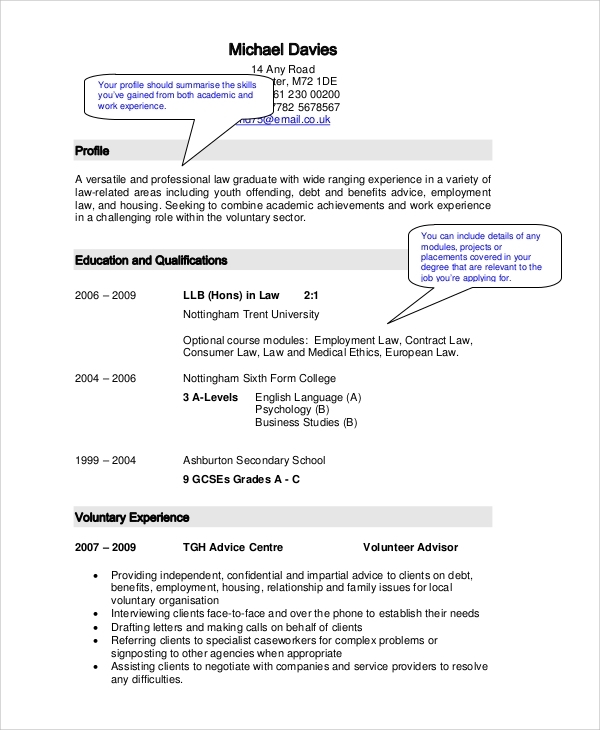 This template is a detailed instruction on how to write a CV, especially if you are a year away candidate. It will not only help you get a true idea of what a CV is about but will also go a long way in making you good at preparing one. 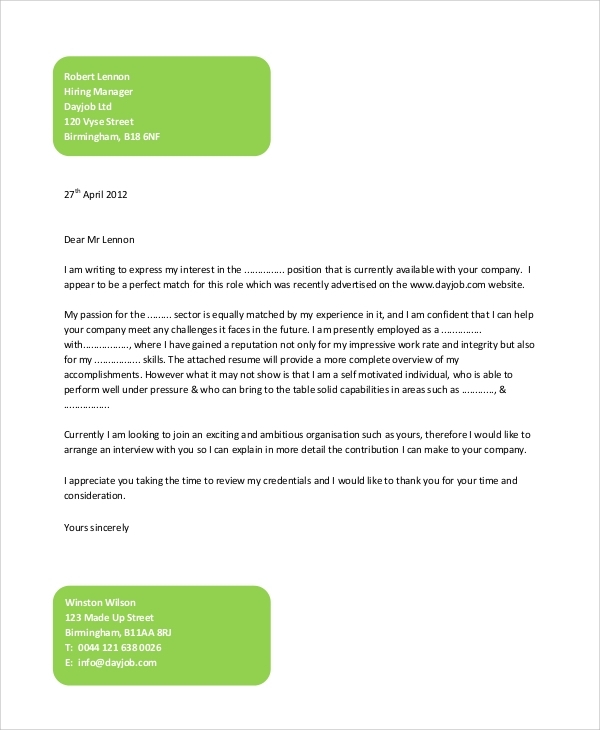 A CV letter is quite different from an actual CV and is prepared as a statement of your interests in a particular job/position offered by a company. As a letter to the recruiter, the content should be about your personal goals and why the position is perfect for your career. A CV letter is always complimented by a complete CV but also becomes the first document that the employer reviews before checking the CV. 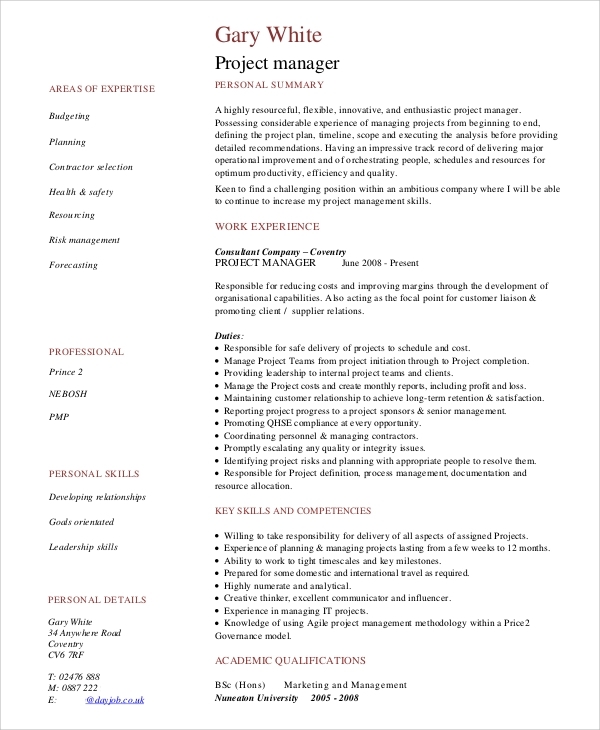 The position of a project manager requires unique skills, and thus the applications also go through a rigorous process of screening. For guaranteeing yourself a face-to-face interview with the employer, it is necessary that your CV is prepared in a way that it highlights your personal skills and all the reasons that make you a perfect fit for the job. When Do You Need A CV? A CV is the first point of contact between an employer and the candidate. Depending on your current job profile and your plans for the career ahead, a CV is always best kept handy. Needless to say, a CV is for anyone looking to apply for a job or admission to a particular position. Be it a college student or a professional, a CV should be the first and last professional document of one’s career. You may also see the Sample CVs. 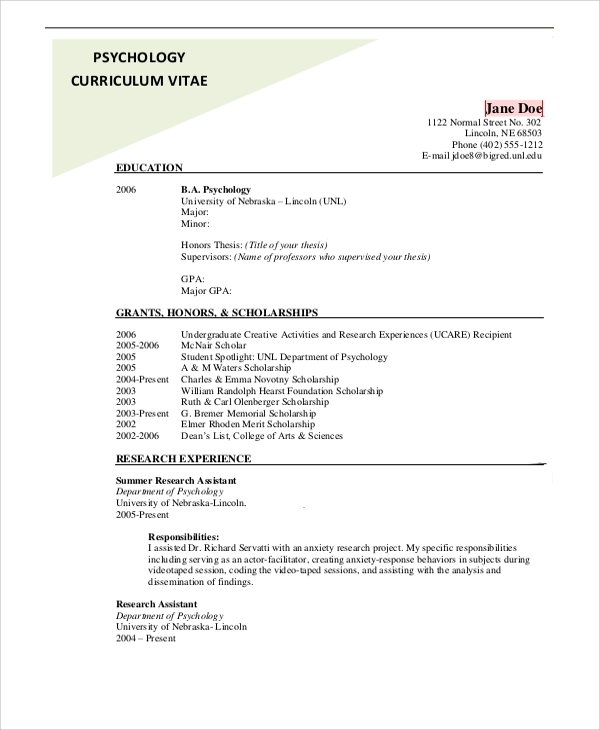 All of these CV templates are offered in.PDF files and it will be easy to edit and customize them. Use these to make your day easier and your competition easier.